Marine Surveyor from PT.Binaga Ocean Surveyor has an experienced team well in Marine Survey and Inspection Services on call and available 24 hours to ensure your marine survey & cargo survey requirements are meet across all Indonesian ports especially at Batam, Indonesia to support your project well. PT. Binaga Ocean Surveyor was establish at Batam, Indonesia as Marine Surveyor Company and Inspection Services, we can conduct for all kind of marine survey and almost all Marine and Cargo Survey activity and another marine services like P&I Matter Survey, Petroleum and Chemicals Cargo Survey including Agriculture foods materials as Crude Palm Oils survey for Loading and Discharging Survey. PT. 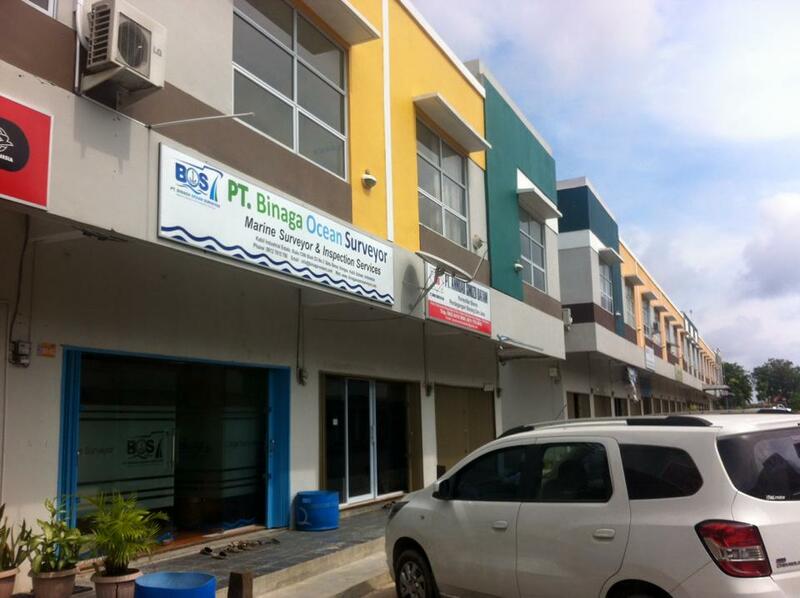 Binaga Marine Surveyor have professional expert to conduct all marine survey activity likely On Hire Survey, Condition Survey, Off Hire Bunker Survey, Towing & Lashing Survey, Stuffing Survey, Pre-Loading Survey, Bunker Survey and P&I Survey. Our network of surveyors has the technical strength, knowledge and tools to achieve the precision, accuracy and results you need and Our office and field support team are always eager to help you with guidance, assistance, and effective troubleshooting. Our Marine Surveyor will ensure that your cargo in good lifting and to obtained the loading activity in safe condition and make sure your cargo received in good condition until received at the destination. Our attend on board the motor tanker vessel to enable that the vessel to enter port or shipyard for repair without delay with the Master, when preparing the vessel for certifying free from flammable vapour (gas-free inspection) prior enter the dry-dock shipyard. Our expert will provide the professional quantity inspection services for Bunker Survey is to establish the quantity of bunker at time of survey present. Loading Survey and Discharging Survey to obtained the loading activity in safe condition and make sure your cargo received in good condition. PT. 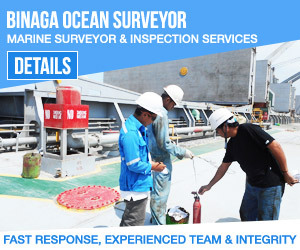 Binaga Marine Surveyor have experience for Discharging Survey to obtain the cargo well received condition. The On Hire and Off Hire condition and bunker survey is just one the many commercial inspections that Binaga Ocean Surveyor can carry out on your behalf to give you financial protection and peace of mind you need when shipping cargo. In case there is any requirement from our client for laboratory analysis, we will perform such analysis at our authorized partnership laboratory who is recognized as most reliable Laboratory in Indonesia. In case you have order for marine survey for Marine Surveyor & Inspection Services, Bunker Survey, On Hire Survey, Off Hire Survey, Stuffing Survey, Loading Survey, Cargo Damage and Insurance Survey, Hull and Machinery Damage Survey, Discharging Survey, P&I Survey, Towing & Lashing Survey, On/Off Hire Bunker ROB and General Condition Survey, Towing Approval Survey, Free Gas Survey, Seaworthiness Survey, The Vanning Survey, On Hire Condition Survey, On Hire Bunker Survey, Pre-Hire Condition Survey, Sampling and Gauging Survey, Cargo Condition Survey, Seal Breaking Survey, Condition Survey, Container Inspection, Pre-shipment Condition Survey of Project Cargo, Pre-Loading Survey, Loading/Discharging Supervision of Heavy Lifts and Machinery, Bunker Quantity & Quality Survey, Volumetric Measurement Survey, Tank Dryness/Cleanliness Inspection, Stuffing/Un-stuffing of General Cargo and Frozen Foods/Fruits, Damaged Survey, please do not hesitate to CONTACT US. Copyright © 2019 Binaga Ocean Surveyor	.